What Are Some Popular Snowmobile Trails in Ontario? One of the most popular places to access snowmobile trails in Ontario is the Haliburton Forest & Wild Life Preserve, which offers more than 185 miles of trails. Also popular is the Round-Algonquin-Park Loop. The Haliburton location is a private reserve on 60,000 acres about 135 miles from Toronto. Visitors can purchase either a daily or seasonal trail pass. The reserve has trails that are as wide as 20 feet but also has single-track trails that connect to segments of the main trails. Those without snowmobiles can rent them from the reserve. It is located at 1095 Redkenn Road in Haliburton, Ontario. The Round-Algonquin-Park Loop, or RAP Trail, is a 550-mile circuit that attracts thousands each winter. It offers journeys of three to five days for those who want to traverse the entire circuit. The network of individual trails is known for offering some of the most breathtaking views of northern Ontario. It is operated by the Ontario Tourism Marketing Partnership Corporation, and the website is northernontario.travel. 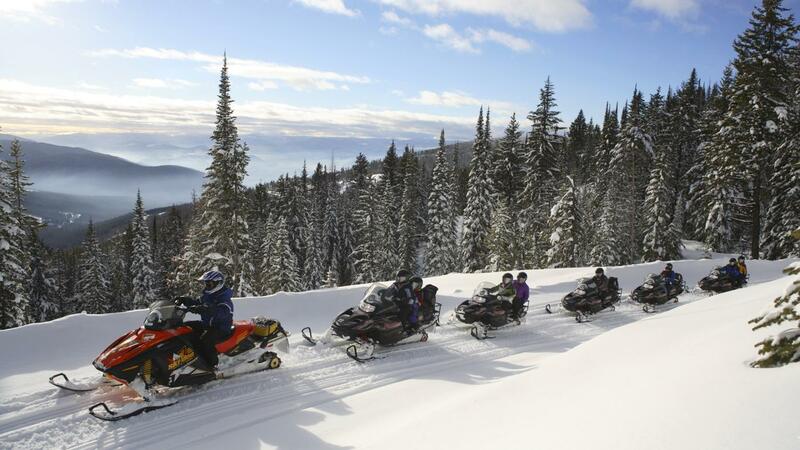 The Ontario Federation of Snowmobile Clubs maintains the trail system, which encompasses about 1,200 miles of trails. The network is called that Trans Ontario Provencial Trails. The trails are designated as trunk trails and feeder trails. What Is the Fastest Stock Snowmobile in the World? Are You Able to Download a Snowmobile Map on Your Cell Phone? What Is the Fastest Speed Reached by a Bobsleigh? What Are Some of the Popular Curling Teams in Canada? What Are the Most Popular Types of Martial Arts? What Are Some Facts About Gulf State Park in Gulf Shores, Alabama?